OPEN Monday - Friday 9:30AM - 4:30PM. Volvo C70 Power Steering Rack to fit models.. 12.1999 > 03.2006. Comes with 18 Month Unlimited Mileage Guarantee. There are two different types to fit, please call for advice on purchasing the correct part! We will collect your old unit FREE of charge from UK mainland Excludes Postcodes. (BT, AB, CA, LA, TR, IV, HS, KA, KW, PA, PH, ZE). All New Seals - All New Boots - All New O-Rings. All New Teflon Rings - Inner Tie Rods Included - Then Resprayed With Protective Paint. All Above Components Equal or Exceed O. All Units Are 100% Tested For Quality Assurance Purposes. QUALITY PARTS QUALITY SERVICE QUALITY PRICES. ACS Power Steering are a UK based power steering supplier to the trade and private motorist with new & re-manufactured power steering racks, power steering pumps for all passenger cars and light commercial vehicles. We have a knowledgeable and experienced uk based customer service team. Making sure your needs are cared for. At the core of ACS Power Steering Ltd are our company values. Every member of our team uses these values to ensure that every visit to our website and every interaction with us an experience to remember for all the right reasons. Honesty - It's what sets us apart, builds trust and encourages our customers to return and recommend us time after time. Expertise - As Power Steering Specialists, getting it right matters. Demonstrating our expertise means customers are confident in our ability. Outstanding Customer Care - By putting our customers first we hope to be their number one choice for all their Power Steering Needs. Easy to do Business with - By ensuring a quick and efficient service, our customers can be back on the road as soon as possible. This company is perfect, their products work great. Really speedy turnaround, superb customer service and product. Great Price and was perfect for what I needed. Goods arrived on time thanks. Keep in touch - sign up today! Stay up to date with our special offers & promotions. Unit 4a Viking Park Tame Valley Industrial Estate Wilnecote Tamworth B77 5DU. 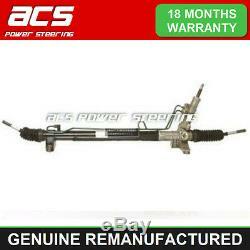 The item "VOLVO C70 POWER STEERING RACK 2.0 20v 1999-2006" is in sale since Friday, June 3, 2011. This item is in the category "Vehicle Parts & Accessories\Car Parts\Suspension & Steering\Steering Racks & Boxes". The seller is "autobitz2007" and is located in GB. This item can be shipped to United Kingdom.